Fightcade is a network gaming platform based on GGPO. No lie – that’s taken straight from their frontpage! If you’ve ever wanted to revisit those classic retro arcade games that you loved growing up, Fightcade has got just the thing for you. Grab a friend, but don’t worry about the quarters; it’s time to jump into some arcade goodness! Fightcade is pretty simple to setup. Simply download the application, create a user account, and log in. Since Fightcade is essentially a souped up emulator, you’ll need to grab the roms for the games you want to play. Point Fightcade in the direction of the roms, and you’re good to go! Enter the various game lobbies to find people to play with, or bring a friend for some co-op (or versus!) action. 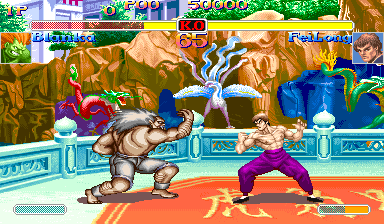 Fightcade’s netcode uses GGPO (Good Game Peace Out), which is a popular middleware designed to create lagless matches for online games, primarily fighting games. This means that if you’re going head to head with someone in a fighting game, you’ll be getting a near-flawless match, as if the person was right next to you just like an authentic arcade experience. Fightcade is the premiere option if you want to play old arcade fighting games online. Fightcade will soon be receiving a huge makeover, and this includes Genesis game support! This new version of Fightcade has entered closed beta testing, and if your Fightcade account was created in 2014 or before you’ll have access to it. Closed beta access to newer accounts will come in the future. If you’re new to Fightcade, you can head on over to the original website to download it and give it a shot. If you’re an existing user that’s been around for some time, you can visit the newer site to download the closed beta build.